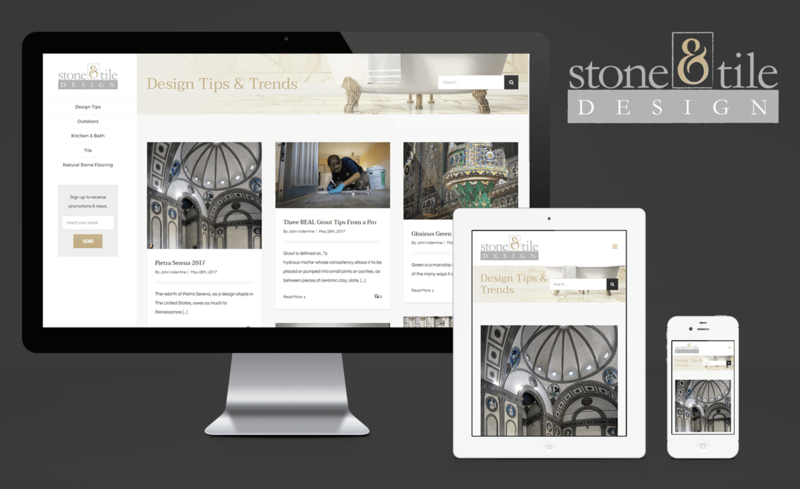 Stone and Tile Design Blog built by customizing the Avada Theme, WordPress on Pantheon. First of all, I think we can all agree that size doesn’t matter when it comes to having an awesome website. Why? Because everyone lives on the internet and the internet is the great equalizer. Furthermore, it is very likely your website is a driving force or destination in your company’s growth strategy so it makes perfect sense to partner with a firm that provides award winning website design and development service. We get it and we’re going to make sure your new site is the greatest salesperson you have. Therefore your website is going to make a great impression. Due to our extensive experience, we build sites with a visitor first approach. As a result, we make sure that each website is an effective marketing tool and business asset, not just easy on the eyes. Promoting your business can involve a variety of different avenues, all requiring diverse skills and expertise. We have experience in all avenues and can help craft and guide your website design process in order to enhance your marketing efforts. Finally, below are a few examples of b2b website design, gym website design, b2b website design, ecommerce website design, and responsive website design service provided to our clients.